With more than 3 million shoppers tracking over 15,000 stores, our foot traffic data provides incredibly granular insight in changing consumer preferences. The investment world consensus has quickly become that foot traffic to existing malls will continue in secular decline. However, some brands will innovate and create unique consumer experiences and thrive. While others, with products more viewed as commodities and lacking the consumers experience will continue to fail to drive shoppers into their stores. Random Walk foot traffic is much more precise than competitors cell phone /carrier data due to the user opting in via smart phone apps. This enables precise location reporting from the phone’s GPS as well as proximity to WIFi networks. This enables us to report on visitors to smaller square footage stores such as Signet’s (SIG) Kay Jewelers or Michael Kors (KORS) or Coach (COH). We can also understand regional patterns of traffic to rule out weather related impacts that cause dramatic week-to-week volatility. 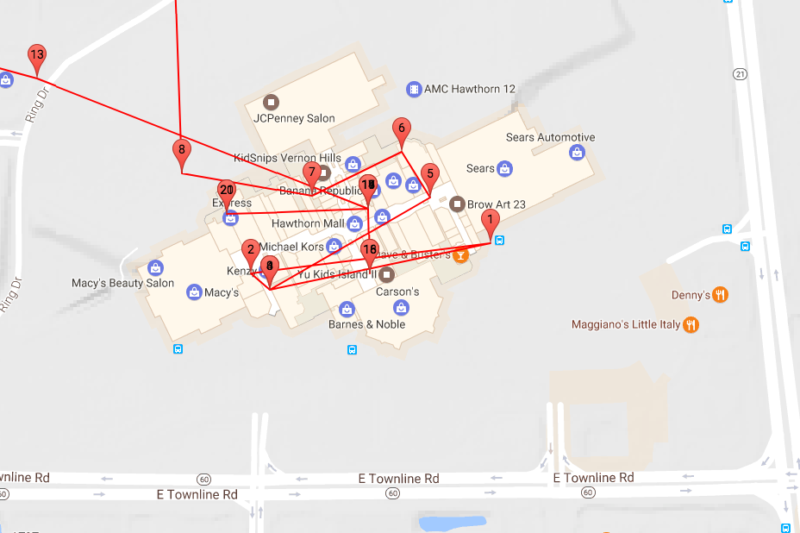 Our new foot traffic analysis can monitor in store visits for even smaller square footage stores. 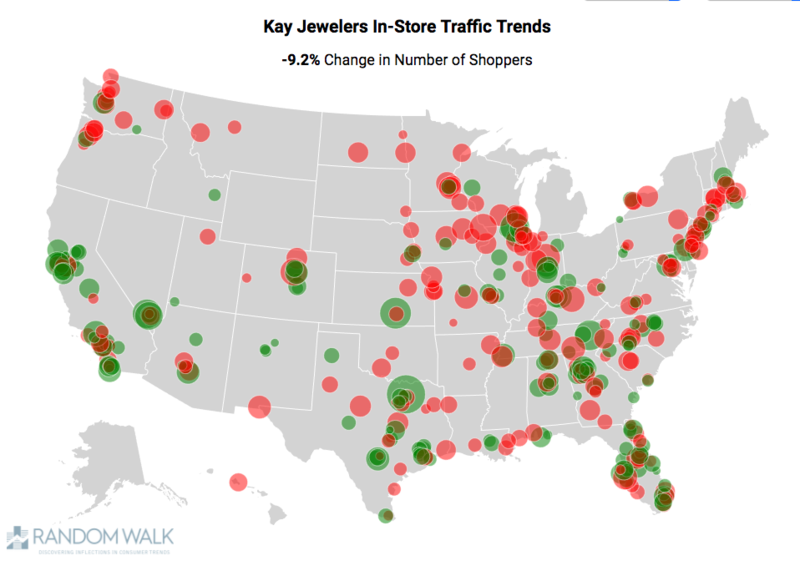 Recently our foot traffic analysis identified weakness in Michael Kors (KORS), Macy’s (M), Nordstrom (JWN), L Brands (LB).